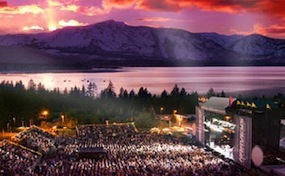 HarveysOutdoor.ArenaLakeTahoe.com is an independently owned and operated site that operates exclusively in the secondary ticket market. We are not at this time affiliated with any official website, box office, supplier, or primary vendor. Tickets on our sites are often above face value and have a tendency to change rapidly with market conditions. To order tickets for all Harvey\'s Outdoor Arena Lake Tahoe events please call any of our friendly staff at your convenience or follow the procedure online through the checkout.